THIS ARTICLE ORIGINALLY APPEARED ON THE TREK, WHICH YOU CAN READ HERE. If you read my first post How An Audiobook Persuaded Me to Thru-Hike the PCT, then you know the how behind this whole PCT thru-hike thing. 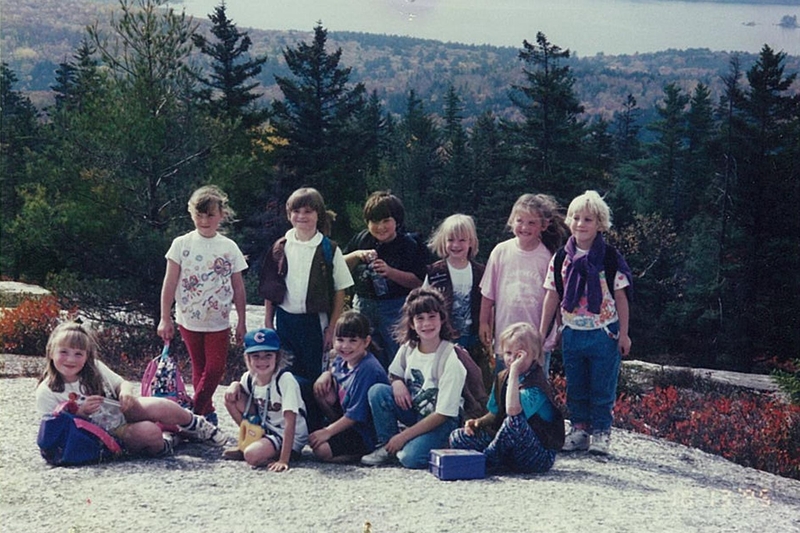 Find me in the Cubs hat on a hike with my Girl Scout Troop circa 1995. 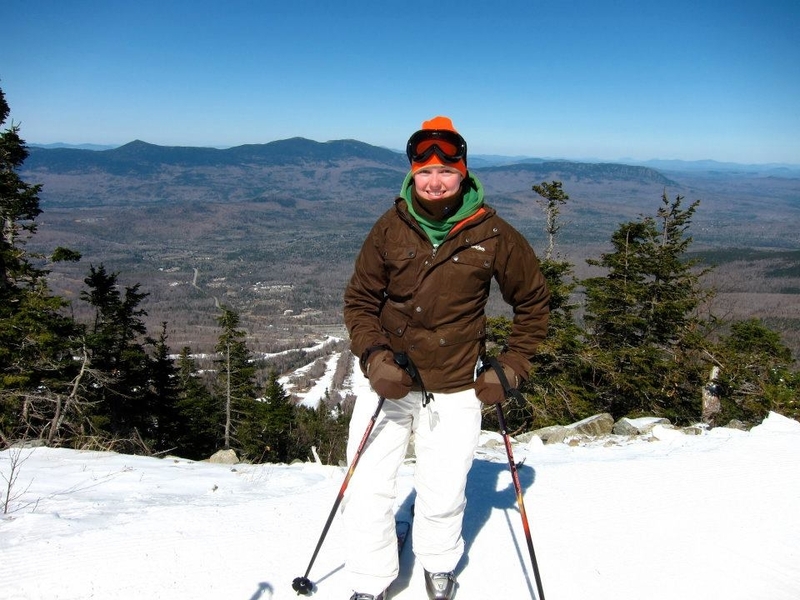 I was born and raised in the small mill town of Bucksport, Maine and was always active in some outdoor activity or other throughout the year. I hiked and biked in Acadia National Park in summer, skied all manner of hills and mountains in winter, and gallivanted through the woods with friends in all seasons. Then came the awkward years of middle school. On the first day of eighth grade, I met Miles – my thru-hiking partner and life partner (aka fiancé). We were friends for a couple of years and we started dating after taking a U.S. History class together during our sophomore year. Senior year came and went and we went off to different schools for college. I headed to Emerson College in Boston to study Film, while Miles attended UMASS Amherst to major in Social Thought & Political Economy. After setting down roots in Boston for a few years, graduation came and went way too fast. I had no idea where I wanted to live and what exactly I wanted to do. Miles still had a semester left, so I moved to Portland to live with my sister. I originally came back to Maine temporarily, but it only took a few months for me to fall in love with Portland and make it my home base. 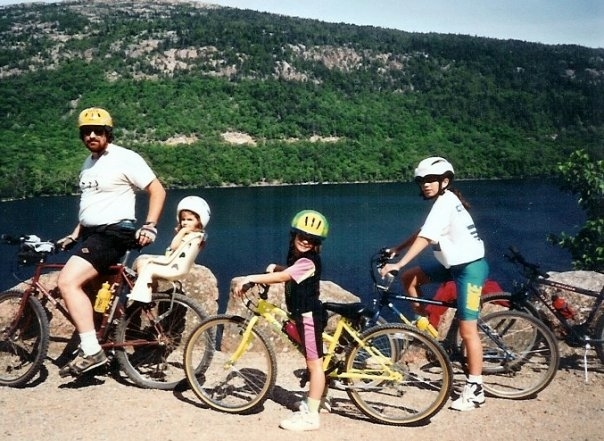 Biking in Acadia National Park with my family. I’m the toddler in the bike seat behind my dad. Note the on point 90s style by all. Fast forward a year post-graduation to March 2012. Miles and I decided to take a 3-day trip to ski at Sugarloaf. We had planned our stay months in advance, but in a freak turn of weather, it was hitting 70 degrees in early March in the mountains of Maine! We came in the week after, when the temperature dropped significantly. The skiing was horrible and the small amount of trails that were open were almost pure ice. The fateful day I discovered that the mountains behind me were a part of the AT. Consequently, we spent more time indoors than anticipated. So, naturally that led to getting sucked down the black hole of Google searches with my first search being to find out what the intriguing and mysterious mountains across the Carrabassett Valley were called. For years, I had looked across the valley at those mountains and never thought to ask what they were called. I found out that dark and windy night that those wild-looking mountains were the Bigelow Range. And that one Google search changed my life. After discovering that the Bigelows were a part of the Appalachian Trail, I couldn’t stop reading about the trail. And just like with the Pacific Crest Trail, I knew within hours that an AT thru-hike was something that I had to take on as soon as possible. 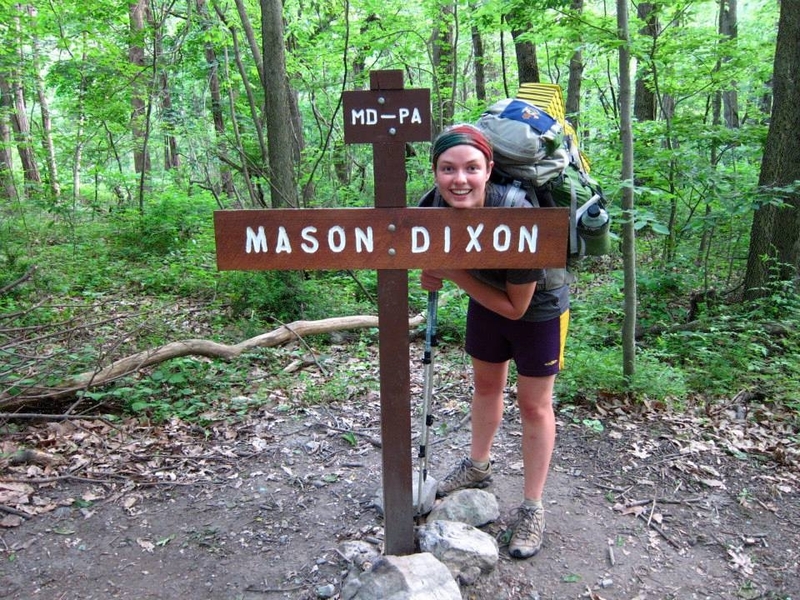 Miles and I set out on our AT thru-hike on March 14, 2013 with ONE overnight backpacking trip under our hip belts. Everything was brand new and each high and low along the trail was equally invigorating. We summited Katahdin exactly 5 months after setting foot on Springer Mountain in Georgia. It rained a hell of a lot, there were some rolled ankles and Norovirus, and we met some of the most awesome people ever. I never did leave Maine after moving here post-college and I’m so glad I didn’t. We now dwell in South Portland just across the Fore River from Portland in a small apartment with our cat, Pi. For the past three years, I have balanced two jobs. I work as a Marketing Coordinator for a local business in downtown Portland and I also own photography business with my sister. I’m the photographer and she’s the editor! We do several weddings each year, but also photograph families, newborns, real estate teams, and have taken on food photography as well. I really can’t complain about current life status, but at the same time the pull of the trail is just too great. Home will be here when we get back and it probably won’t change much. 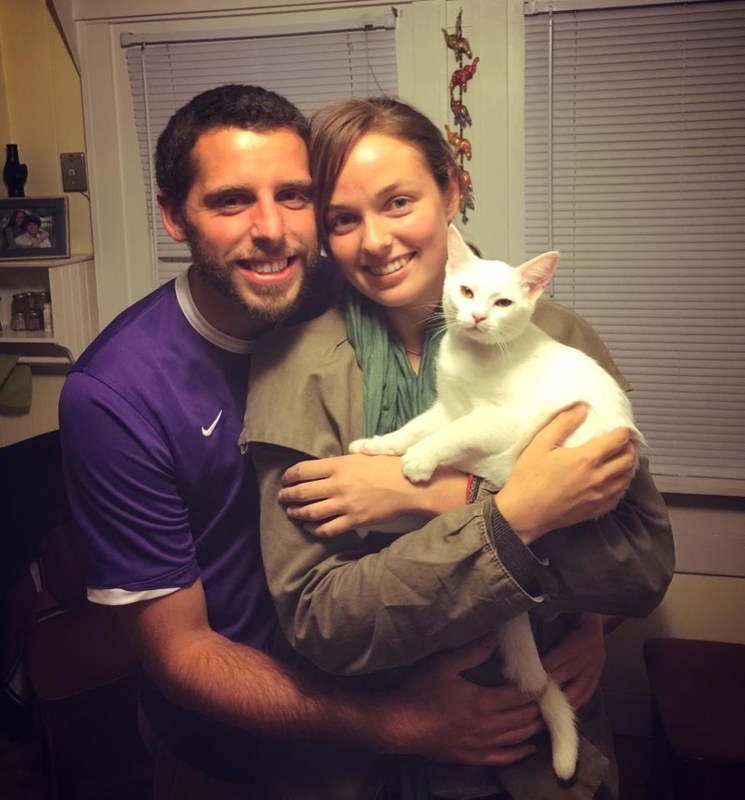 Miles, Pi & I on the day we adopted our fur baby. My dream career is to be a percussionist in a symphony orchestra. I despise any type of melon, but I will gladly eat straight-up butter. If George R.R. Martin releases Winds of Winter during our thru-hike, I will absolutely be carrying a 5 lb. book in my pack. I did my seventh grade science project on Cat Behavior (this was an early warning of my cat-lady status). In elementary school, I had a passion for both acting and soccer. I dreamed of performing in Annie at The Grand in Ellsworth. One day, my mom told me I had to make a choice between the two as the schedules conflicted. I chose soccer. And I chose well. I’m a terrible actor. On a clear day, I can see Mt. Washington from my desk at work. It’s a bittersweet view to be sure.